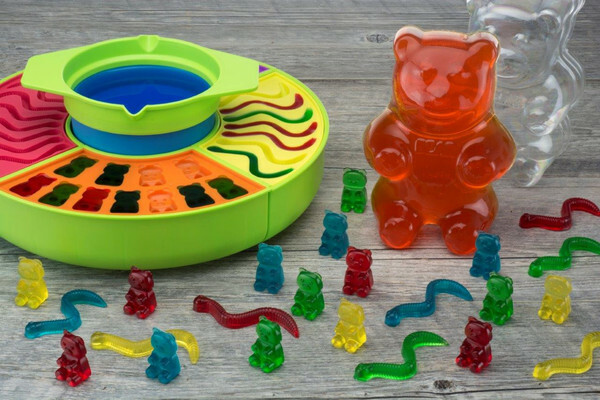 Mom Are We There Yet is hosting this giveaway for a super cool gummy maker. My kids have always loved gummy candies. Gummy worms, gummy bears, etc. The regular ones, cola flavor, sour. They are definitely fans of all things gummy. They also love to help cook and have fun in the kitchen. I found this fantastic Gummy Candy Maker from Smart Planet and we had a blast making our own gummies. I found some recipes in the booklet and some online and we created all sorts of gummy madness! A great way to pass the afternoon. Check out the Fruit Snack & Gummy Recipe here. Winner must be of the age of 18-years-old, or older and live in the Continental U.S. I like the Snoopy Chocolate Fountain Fondue Maker. I love the gummy maker and the cookie shot maker! My favorite is the Movie Theatre Popcorn Popper. I like the Football Popcorn Popper the best. I like the Peanuts Gummy Candy Maker. I like the corn dog maker. I love gummies. If it's gummy anything, chances are I will eat it. So this would be my favorite snack machine but my next choices would have to be the milk & cookies shot maker or the bacon maker.